Google Maps Street View Cars Continue To Map The World! After enjoying some noodles at Wok Box in North Vancouver last week, Taya & I noticed a Google Maps Street View car zooming past us down the road. Although the majority of Vancouver, British Columbia has already been mapped out, Google’s back in full force around the globe routing more countries and adding to previous cities. I spotted another one while on a golfing trip with Vancouver Golf Review in Victoria, BC (on beautiful Vancouver Island) this past weekend – this time I managed to capture a photograph of the colorful Google automobile. Have you spotted a Google car in your city? 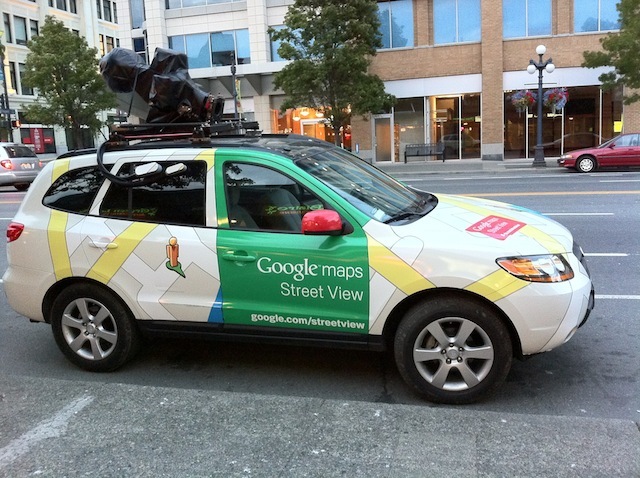 Click here to see where Google Maps Street View cars are currently mapping your world! Macy’s New York City – World’s Largest Department Store?